Buns of Steel With Mums of Steel! I’m sure you’ve all been told before how great squats are for the glutes, and while the humble squat is an awesome exerise, when it comes to getting buns of steel there’s more than one way to skin a cat, as they say. Here we’re going to show you a few alternatives to throw some variety into your workouts. But first, a quick look at why the glutes are important. Yes, there’s the aesthetics. But there’s more to the glutes than that. They help maintain posture, play an important role in reducing the risk of injury (underactive or weak glutes mean more strain on the back, hips and knees), and they help to balance the pelvic floor by keeping the pelvis in alignment. So extra relevent to the post natal woman! 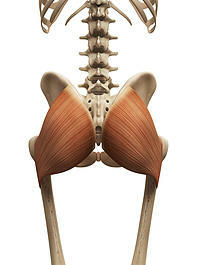 There are actually 3 glute muscles. Gluteus maximus, medius and minimus. 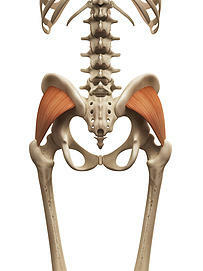 Gluteus maximus works to extend the hip, which is when your thigh moves behind your body, and rotate it outwards. 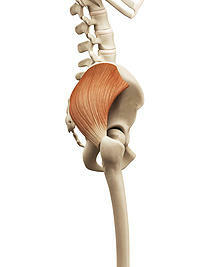 Gluteus medius and minimus work together to abduct the thigh (pull it out to the side), and rotate it in. Gluteus minimus (2nd picture) sits underneath gluteus medius (side view in the top picture). Here are 3 great exercises that really hit these muscles! The offers mentioned in the videos are valid until 30th April 2015. Terms and conditions apply, please contact me for more information or visit the personal training page. https://www.vanessabarker.com/wp-content/uploads/2015/11/e56a76_49a1c14035c74db199685703a44e59cd.jpg 265 199 Vanessa https://www.vanessabarker.com/wp-content/uploads/2015/11/logo.00.jpg Vanessa2015-03-27 11:41:392015-12-27 20:02:30Buns of Steel With Mums of Steel!